10AM to 7PM EVERY SATURDAY THROUGH THE HOLIDAYS! The String Bar at World Music Nashville is a unique service for guitar, bass and stringed instrument players in middle Tennessee. No more dropping off your instrument for days. 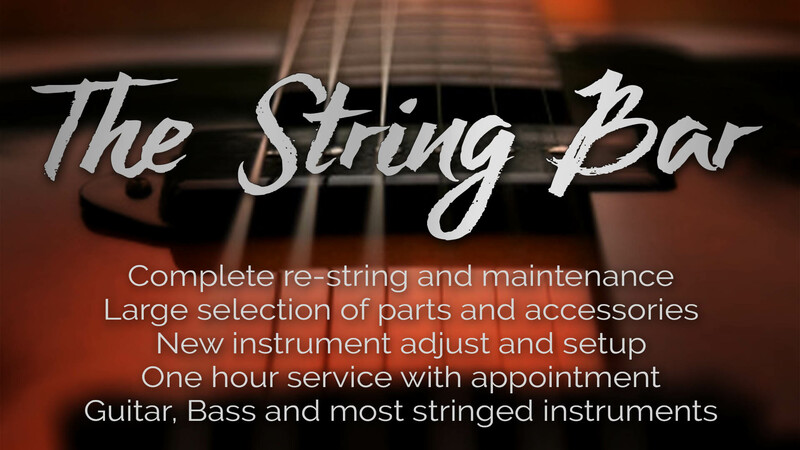 Our staff can re-string, clean, set up and clean your instrument while you wait...or run errands. Have a cup of coffee and relax in the lounge, or check out the new Martin, Fender, Yamaha and a half dozen premium guitars in the acoustic and electric demo rooms. Quick re-strings are generally done in less than an hour, the "Standard Setup" in less than three. Need repairs? We can do those too! Acreman Guitars West at World Music Nashville has a complete repair facility in house providing the repair, installation, and modification services locally. Need parts? We are dealers for one of the largest parts manufacturers in the world, and stock hundreds of commonly used parts in our store. When restringing your acoustic guitar, you discover that a bridge pin is stuck. Now what? It could be time for new bridge pins or this could signal problems with the bridge plate. Eventually, bridge pins wear out and sometimes break, so it’s important to inspect them every time you change your strings. 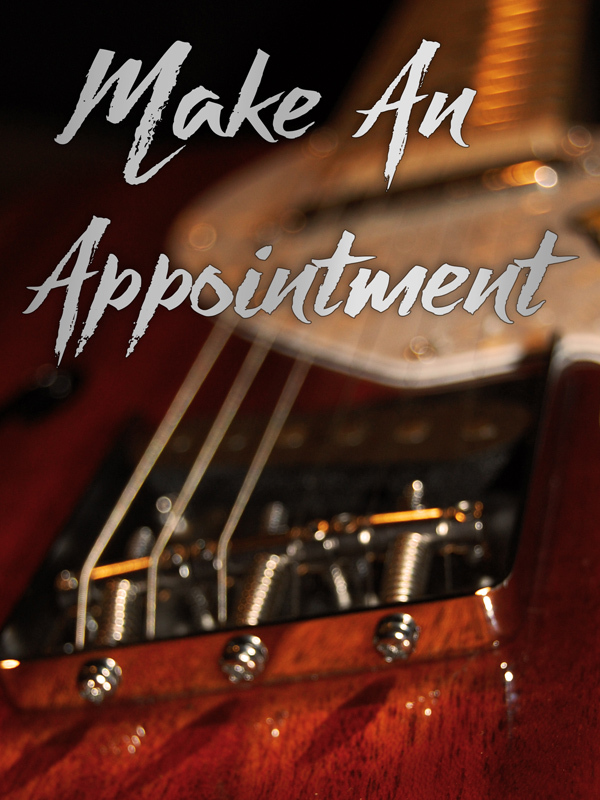 It’s also smart to check the bridge plate too, because when the bridge plate begins to wear out, the consequences can be catastrophic for your guitar. 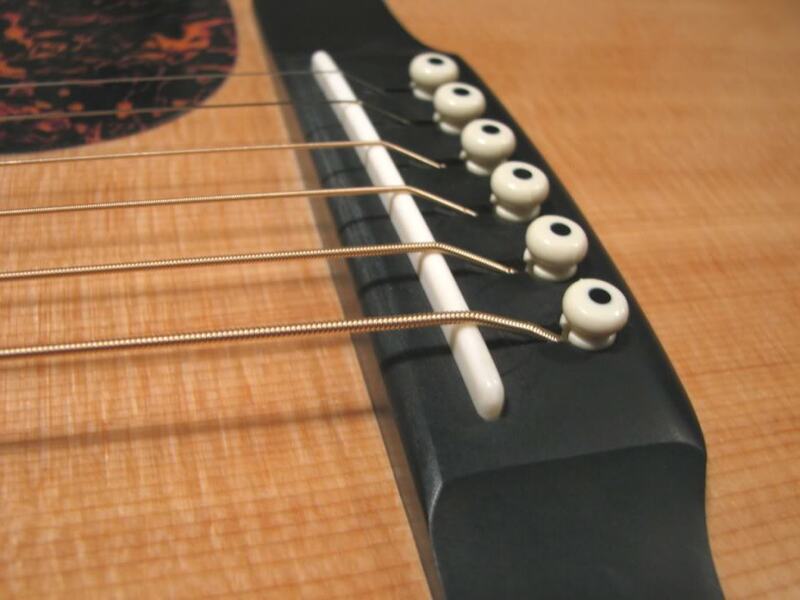 A common misconception is that bridge pins secure the strings to the bridge. Actually, the pins hold each string’s ball end against the bridge plate located inside the guitar. The string then curves around, passes through the bridge, and runs over the bridge saddle. If a string’s ball end isn’t firmly anchored to the bridge plate, the string will slip and cause the pin to launch out of the bridge. Wear and tear. When a bridge pin wears out or breaks, the string’s ball end travels up into the bridge. Not only can this cause the bridge pins to launch out of the bridge, it can cause the bridge plate and top to crack. When the bridge plate cracks, the bridge can also crack and pull away from the top. To make things worse, the braces may then fail, further damaging your instrument. Replacing worn pins. If you see wear on the pins, that’s a good sign you should replace them. Fitting the pins correctly takes the proper tool and a lot of skill. The key to successfully fitting the pins is patience. If you don’t remove enough material from the hole, the pins will stick up and poke out of the bridge (Fig. 5). And forcing the pins into holes that are too small can crack the bridge. But if the holes are too big, the pins will fit loosely and can easily fall out. When fitting the pins, take your time and check the fit after each turn of the reamer (Fig. 6). The ideal fit is when you can press the pins into the bridge—with the string in place—down to the end of the flute, so that just the round top of the pins is exposed. The fit should be snug, yet allow you to work the pin loose when you change strings.